This software offers a solution to users who want to crop one or more images. The user simply adds image file/s or an entire folder to be processed. There are options to: crop the first image and then crop the rest of the list with the same dimensions, crop each image with individual dimensions and save instantly, to do the same but query each save or to crop each image to specified dimensions but in different positions. The output can be saved as jpg or bmp image files. There is a slider to adjust jpg quality. 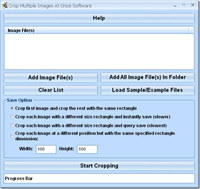 Crop Multiple Images At Once Software is a graphic program that works under windows xp, windows vista and windows 7. It supports both 32-bit & 64-bit windows editions, therefore it could run faster on 64-bit computers. Estimated download time for Crop Multiple Images At Once Software on a common adsl connection is less than a minute. 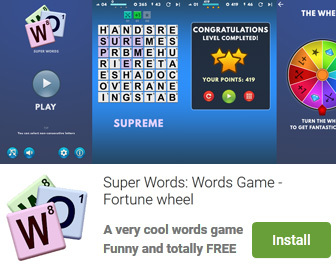 Version 7.0 was released three thousand three hundred sixty two days ago by Sobolsoft. Click the green download button to download it now.